Research supported by the Arts Council Arts Participation Travel & Training Award. Moving Awareness practice through the use of Contemplative Dance and Authentic Movement practice provides therapists in supervision with a route to understanding how we metabolize our own internal states and those of our clients through the body awareness and action. It’s a gentle way to cultivate presence and to explore somatic counter-transference. With the support of the Arts Council of Ireland, with awards for Arts Participation and Dance Travel and Training, Bernadette Divilly has been immersing herself in the Underscore with Nancy Stark Smith, the originator of this container for research and play of contact improv. For the first time in Ireland, we are going to participate in the Global Underscore this June. In preparation for the event, there will be two lab intensives before the event and one afterwards. (CI) Dance Labs NSS Underscore – LABS as community research, composition, play and skills development. The Global Underscore is an annual event in which Nancy Stark Smith’s improvisational score, The Underscore, is practised all over the world. 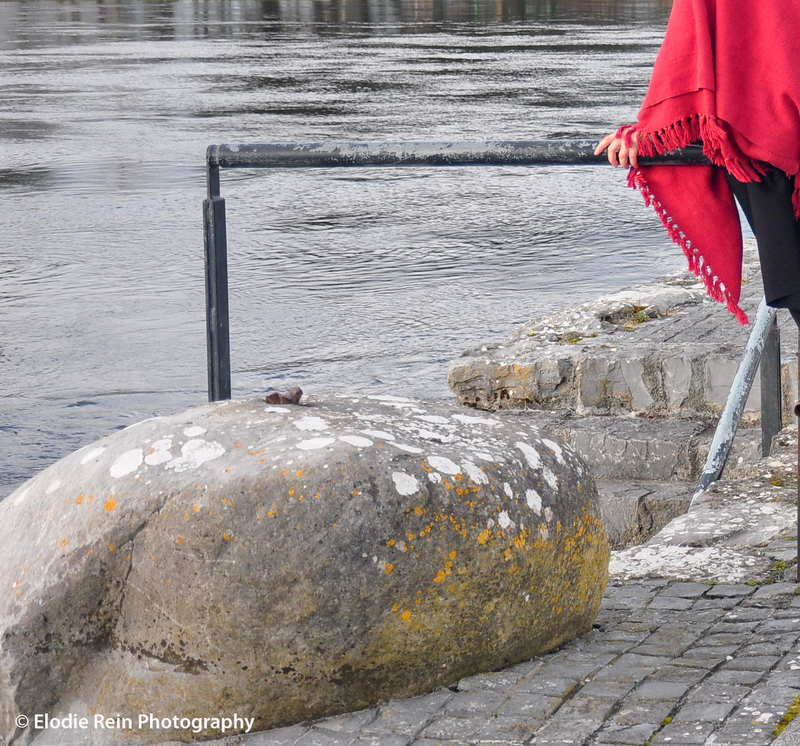 Take part in this global experience in Galway this June, guided by Bernadette Divilly. For more information on the history and evolution of the Underscore, click here. Galway Dance Project Supports International Contemplative Dance Practice Day to celebrate Barbara Dilley’s 80th! First offered in 1980 by Barbara Dilley, Contemplative Dance is now practiced in its original and adapted forms all over the world. CDP brings together the discipline of sitting meditation with free movement investigations and the practice of improvisation. It is an opportunity to integrate outer and inner worlds, alone and together. The practice begins with sitting meditation followed by personal awareness practice and then the group practice called “Open Space” occurs, where Deep Play unfolds! The session concludes with a closing circle for discussion and observations. Facilitated by Bernadette Divilly who uses the practice into her work in Dance Movement Psychotherapy and Socially Engaged Choreography. Free: Event sponsored by Galway Dance Project and supported by the Galway City Museum. The DROP project was also supported by a residency at Dance Ireland 2016. DROP with the language of home this winter solstice. Find your personal choreography. This workshop will deepen your connection with yourself and local and international communities in 2017 through the exploration of basic principles of dance, relaxation, organisation and presence. We will explore the embodiment of home -engaging with both personal and public spaces within ourselves and in relationship. The objective is to explore deepest types of movement democracy and inclusivity by dropping to consciously engage with the place of home through presence. This work is influenced by the Contemplative Dance Practices of Barbara Dilley and translated by Bernadette Divilly to engage with the culture of the west of Ireland. All welcome: This workshop is appropriate for anybody with a body who is curious about mindful movement and simple choreographic practices. This workshop suits both professional artists and the community at large. The theme this time is the language of home. Explored and engaged with through the poetry of bodies engaging with memory, place and the architect of the city. Dates: 22nd Oct, 19th Nov and 17th Dec. In these three workshops, participants will be taken on a developmental journey through the first year of life. This is where we hardwire our neural pathways and organise ourselves for relationship. This fundamental grounding eventually helps us to stand on our own two feet and we begin to develop our unique gait. Moving through early developmental reflexes and patterns, participants will have an opportunity to yield, to push, to reach and pull and find themselves in relationship with their own ground. Early developmental patterns are fundamentally helpful in restoring confidence and well being. Come and play. Slide, slip and slither as you remember your foundations and enjoy developing your tone. If you haven’t worked with me previously, there is an intake interview. Cost: €375 for all three workshops. Contemplative Dance Practice as Supervision Support. Contemplative Dance practice provides therapists in supervision with a route to understanding how we metabolise our own internal states and those of our clients through the body awareness and action. Its a gentle way to cultivate presence and to explore somatic countertransference. In these experiential workshops participants will be introduced to the Contemplative Dance Practice (www.barbaradilley.com) translated by Dance Movement Psychotherapist Bernadette Divilly to explore the supervision process within psychotherapy. Contemplative Dance Practice(CDP) mingles the discipline of meditation and improvisation in a simple structure using personal awareness practice, open space and discussion/ reflection time. Participants will practice tracking kinaesthetic delight and cultivating awareness while engaging with the four pillars of mindful movement practices. Deep play in open space practice will be used to move with the supervision process, including the roles, responsibilities and tasks. The intention is to apply the CDP model to support supervision as interactive field. Attention will be directed towards client care as the core activator of the movement process. These workshops are focused on being a support to the supervision processes and not as supervision. Its primary purpose will be to welcome and be with the unknown kindly. Suitable for supervisors and supervisees who are engaging with supervision in a variety of contexts. 2.30pm Screening of Ciúnas directed by Bernadette Divilly and evolved in collaboration with NUI Galway Arts Office and Múscailt Arts Festival. 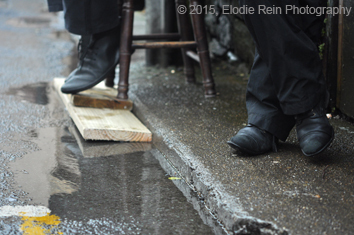 Dancers: Elodie Rein, Doireann Carney and Maeve Gallagher. Videographer Maria Gibbons. It explores the place, power and presence of women at NUI Galway followed by a short talk by director/choreographer Bernadette Divilly. Booking essential with deposit– please contact me via text on 085 1260931 or email bernidivilly@gmail.com to secure your place. 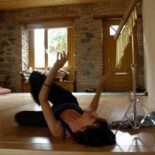 These workshops introduce participants to the Contemplative Dance Practices of Barbara Dilley (www.barbaradilley.com). Illustrated lecture on the creation and development of CIÚNAS, exploring power, presence and place. Bernadette will give some background to this project and discuss the creative process, the challenges and playful investigations involved. The project evolved in collaboration with the NUI Galway Arts Office and Múscailt Arts Festival. Free. Event sponsored by Galway Dance Project and supported by the Galway City Museum. The DROP project was also supported by a residency at Dance Ireland 2016. DROP – A workshop deepening your connection with yourself and community in 2017 through the exploration of basic principles of dance, relaxation, organisation and presence. We will explore the theme of transition -engaging with both personal and public spaces within ourselves and in relationship. The objective is to explore deepest types of movement democracy and inclusivity by dropping to consciously engage in place through presence. This work is influenced by the Contemplative Dance Practices of Barbara Dilley and translated by Bernadette Divilly to engage with the culture of the west of Ireland. All welcome: This workshop is appropriate for anybody with a body who is curious about mindful movement and simple choreographic practices. This workshop suits both professional artists and the community at large. Suitable for: Professional dancers and professionals engaged in urban design, architect, city landscapes and health and wellbeing in the city. This workshop will focus on key elements of a new dance performance initiative, DROP. We will share sanctuary though allowing the dance that finds us implanted in space and place and to place ourselves beyond the limits of good or bad and to seek connection. Participants will be invited to experience Contemplative Dance practices such as the Four Postures of Mindfulness and to track their perceptions through eight sensory channels as a way of engaging with their health and well being in the city. Working on the theme Mother, this workshop will investigate the mother’s influence through contemplative dance. It will be followed by CIÚNAS, an improvised dance performance choreographed from scores and developed from the contemplative dance practices of Barbara Dilley. The theme is Mother, inspired by ‘Of Woman Born’ by Adrienne Rich. This workshop will investigate the work done by women, paid and unpaid, and will give an opportunity to dance and validate the contribution of women to the work field. Work equals the amount of force applied to move another a certain distance. Let’s play with work while addressing very real issues. All genders welcome. In this two-day workshop participants will be introduced to contemplative dance practice. Key elements in this work include Dharma Art, Somatic Intelligence, and Improvisation. The practice of Authentic Movement cultivates awareness of relationship with self, other and the whole. The ground form involves two roles, that of a mover and a witness. The witness practices the art of clear sensing and ownership of direct experience. The mover learns to allow movement emerge from deep within and witness takes responsibility for being present and giving unconditional attention to the actions of the mover and what gets evoked. In this workshop we will share contemplative dance practice, focusing on the deep well of well-being within, allowing the dance of being find us. There will be the opportunity for stillness, mindful movement and sharing in the rich cultural heritage of Brigit or Bríd. Transition into Spring, honoring the tradition of Imbolc and Lá le Bríde. Key elements in this work: Celtic Ritual, Meditation, Somatics, Cultural Heritage and Dance Movement. A two part dance investigation exploring influence, difficulty and delight engaging with city spaces using a body intelligent approach. To conclude, audience comments and conversation focusing on the themes of Body, DELIGHT and Design are welcome. and supported by principles from the discipline of Authentic Movement. Part of Culture Night, organised by Galway Dance Project. The people of Galway are invited to join in a free inter-generational event open to all which will be facilitated by Choreographer and Dance Movement Therapist Bernadette Divilly and partners in The Walking Wisdom Woodquay Project. 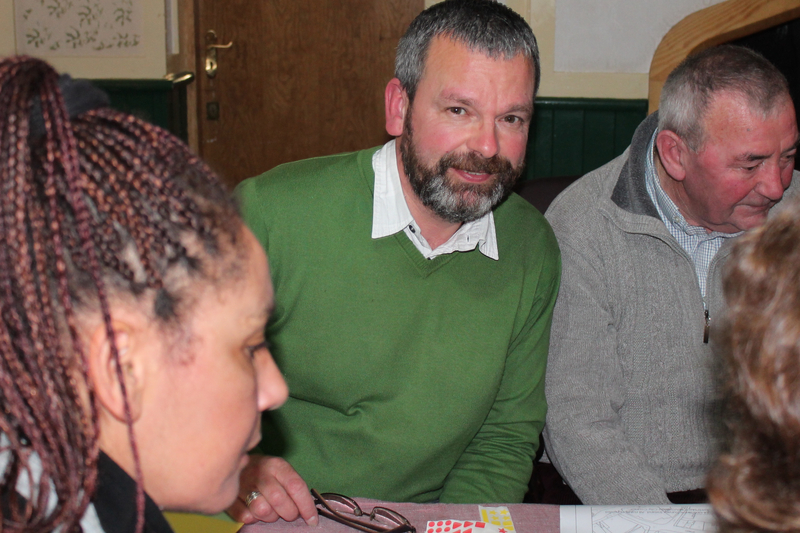 Woodquay is a place and a community in transition. Woodquay is having a gathering, in order to honour through mapping, local knowledge and memory. Places of significance will be mapped using the wisdom of the body and mindful listening. 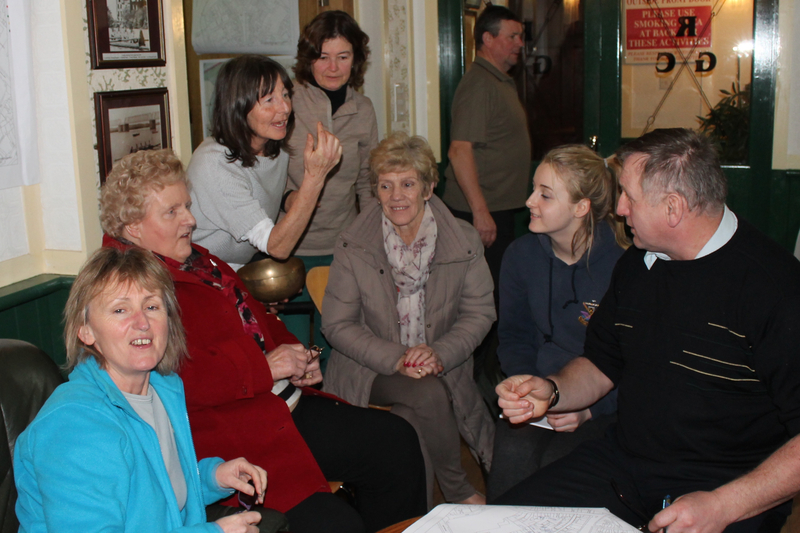 The event takes places on Saturday 24th January 2015 from 2pm to 5pm starting from The Rowing Club, Woodquay. Why map Woodquay? Woodquay is a vital city centre community with many people from different walks of life sharing a city landscape outside the walls of the medieval city of Galway. Today, although hampered by heavy traffic, Woodquay is a place rich in memory, full of potency and creative possibility. Many of the older members of the community are in a more advanced stage of life and some of their very specific and particular knowledge will be of great value if recorded through mapping. Examples of this knowledge could include gems of wisdom about places of historical interest, craic, language, a place of trade, crafts, rituals, characters, species of wild life in water, air and land and Galway’s waterways. Walking Wisdom Woodquay is an Arts Participation Project with an objective to use the wisdom of the body to articulate challenges to urban design. Bernadette Divilly, the project originator, wants to honour local knowledge and memory; “This needs to be documented so that future generations of architects, city planners, and citizens of the city can be informed”. 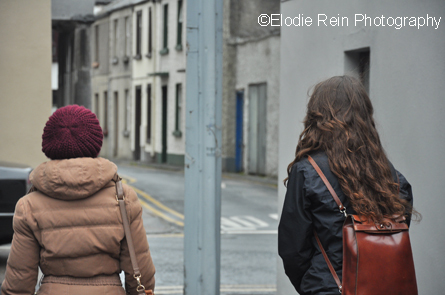 Walking Wisdom Woodquay is funded by the Arts Council and Galway City Council and project partners include Galway City Architects Office, the Town Hall Theatre, Galway Dance Project, Galway One World Centre, and NUI Galway Ómos Áite Irish Place Studies and Community Knowledge Initiative. Michael O’Reilly genius piper had a dancehall in Woodquay in the 1800’s. Reilly and his dancehall is a doorway to social history. The Woodquay of the past is an endlessly fascinating place with a deep watery history. Over the last few months, some participants in the project have immersed ourselves in old maps, in photographic exhibitions and old newspaper articles. 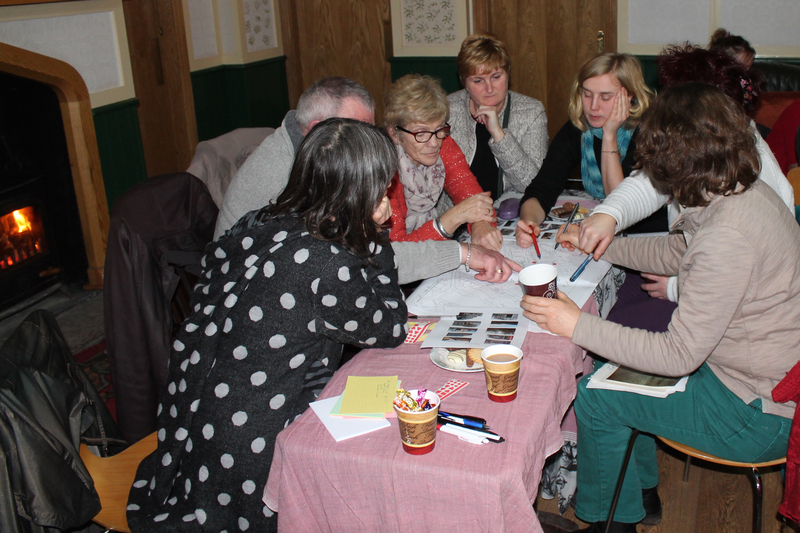 Thanks to Eleanor Hough for endless tracking and Anne Lyons at CKI and Nessa Croin Ómos Áite for education on community mapping and more. Wood-quay a place of Knowledge. Out of the research arising through dance dates and dance labs -I have generated a quiz on Woodquay that excavates and promotes the knowledge we have gained on the heritage, human geography and interactive space use.